Published the Study commissioned by the European Parliament’s Policy Department for Citizens’ Rights and Constitutional Affairs, at the request of the European Parliament’s Committee on Legal Affairs (JURI Committee), which sheds light on cross-border commercial contracts and their operation in theory and practice. It describes the legal framework in which commercial contracts operate and analyses current commercial practice as regards choice of law and choice of forum. It concludes that the laws and the courts of some states are more popular than others and suggests to adopt a bundle of measures that will improve the settlement of international disputes in the EU. Among others, the study suggests to introduce an expedited procedure for cross-border commercial cases and to establish specialized courts or chambers for cross-border commercial matters in each Member State. 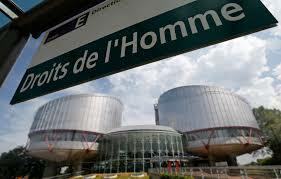 In addition, the study suggests to establish a European Commercial Court.